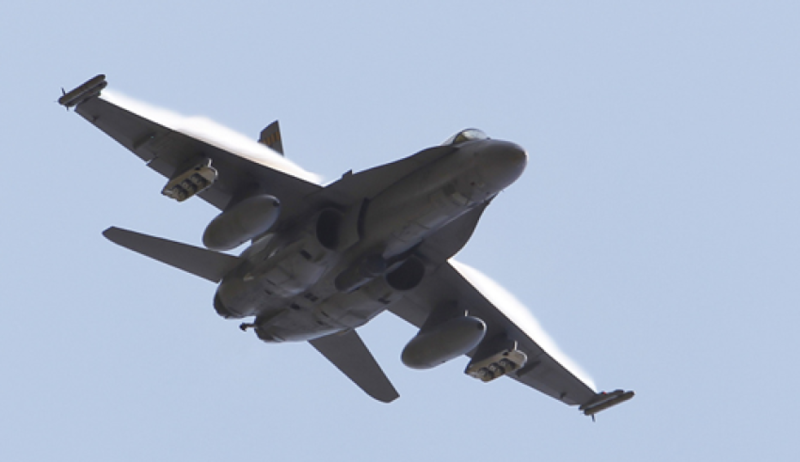 F/A-18A/B Classic Hornet which Boeing is sustaining. Image via Commonwealth of Australia, Department of Defence. Photographer LAC Craig Barrett. A report commissioned by an aerospace prime has revealed it generates nearly $1.3 billion for the Australian economy and supports more than 9,300 direct and indirect jobs through its high-tech operations. Boeing released the commissioned study from BIS Oxford Economics at the 68th International Aeronautical Congress in Adelaide. The report, based on 2016 data, looks at the prime's influence in Australia, which is its largest presence outside of the US. Marc Allen, president of Boeing International, said the report offers insightful observations of how the defence and aerospace behemoth will expand in the future. "As Boeing’s largest presence outside of the US, Australia continues to model how we will grow globally in the future," Allen said. "I describe our Australian operations as ‘the gold standard’ in terms of creating a winning ecosystem comprised of our employees, suppliers, research partners and community organisations that are second to none." The company, which opened a new office in Adelaide earlier this year, said in recent years it has invested more than $1 billion in its Australian operations, with many of Boeing Australia’s 3,000-plus employees providing services and support for Boeing-built commercial and military aircraft that have been exported to Australia. The report also revealed Boeing spent more than $400 million with more than 1,500 Australian suppliers across the country, 50 per cent of which were SMEs. Minister for Defence Industry Christopher Pyne congratulated Boeing for its contribution to the nation and the Australian Defence Force as the longest standing member of the government's Global Supply Chain Program. "Boeing Australia delivers a range of vital services to the ADF and has 38 locations across Australia," said the minister. "Boeing is also the longest standing member of our Global Supply Chain Program, which delivers fantastic opportunities for Australian businesses to engage with Boeing globally by plugging into their international supply chain." Boeing is celebrating its 90th anniversary in Australia this year.